Just looking at the pictures it is clear that no expense was sparred for each detail small to large. 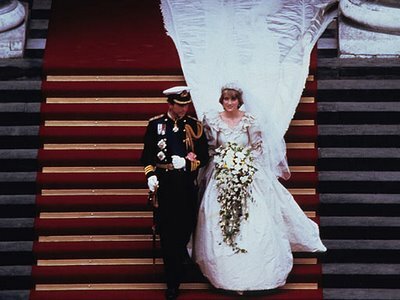 From her dress with a 25 foot train to the magnificent headpiece that she wore, everything was extravagant. 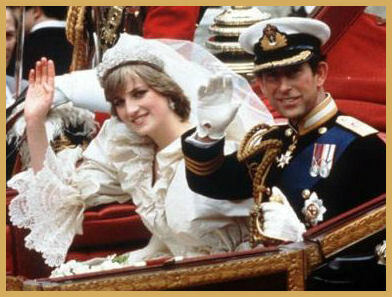 I was interested to find out some little known details while researching this wedding and I hope you find them as interesting as I did. There are no pictures from the reception due to the intense privacy of the event but I did find a bunch of ceremony and official portraits. Enjoy! How'd You Get That Bling? Warm weather, sun, light breeze, and go!